Welcome! On behalf of the faculty, staff and students in the Department of Management, Policy, and Community Health (MPACH), I would like to congratulate you on beginning your graduate education with us. Our department offers you the opportunity to advance your graduate education through masters and doctoral degrees in Community Health Practice, Health Economics and Health Services Research, or Healthcare Management and Policy. 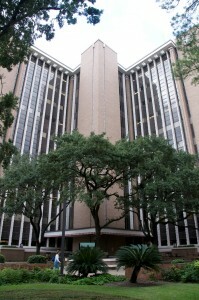 Our courses provide the groundwork for understanding the practice and theory of public health delivery, while the Texas Medical Center, or TMC, offers our faculty and you access to over 20 hospitals, clinics, schools, and other healthcare businesses in the largest medical center in the world. As you complete your academic work, you may have the opportunity to participate in cutting edge research in one of our Centers for Management and Policy in Community Health or within the TMC research institutions. You can become active in the MPACH student organizations which match your interest, The Board (management), AcademyHealth (health services research), ISPOR (pharmacoeconomics and outcomes research) or International Associations of Emergency Managers – Student Chapter (emergency management and public health preparedness). After graduation, you will be able to leverage your education and degree to impact public health delivery in one of many ways. Our graduates are part of the largest sector of the U.S. economy. They work in academic and research organizations world-wide, manage local and regional health departments, and lead government agencies, and manage hospitals, clinics, and other health care organizations. We look forward to providing you with an intellectual home at UTHealth School of Public Health and to helping you make a positive contribution to public health.